The Golborne Road area in London's North Kensington is home to a diverse community and for 150 years has been changing constantly. Industrialisation saw the area transformed from fields into one of the most densely populated areas in London with thriving laundry businesses in Kensal Newtown, a bustling market along Golborne Road, cafes and festivals. The area has been marked by immigration from the beginning, from Wales, Somerset, ireland and Eastern Europe, and later from Spain, the Caribbean, Portugal and elsewhere. This mix of people and cultures in often cramped conditions has led both to a the evolution of a wonderful, energetic neighbourhood, but also one rocked by racial tensions, protest and political activism. Funded by The Heritage Lottery Fund and the Love Golborne Ward Fund, The Golborne Stories Project is working with Year 5 children from Bevington Primary School to uncover and tell the stories of the people who live in the area and have experienced the many changes over the years. With training and support from education charity digital:works the children are researching the history of the area with the help of the Royal Borough of Kensington and Chelsea's Local Studies archive. After the research element, the children will be making a documentary film about Golborne and its history which will include interviews with a variety of local residents who will be telling their stories of the area. 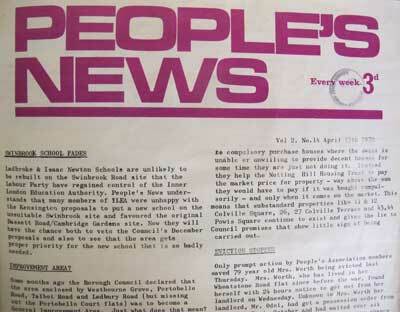 digital:works has also set up a reminiscence group running in tandem with the school project. Many of the participants will be interviewed for the film. The film will be shown locally and at the Portobello Film Festival, broadcast on the Community Channel, and will be available to watch on this website. In the late 19th century and up until the 1980s, Golborne suffered from overcrowding, rapacious landlords, poverty and a lack of playspace. 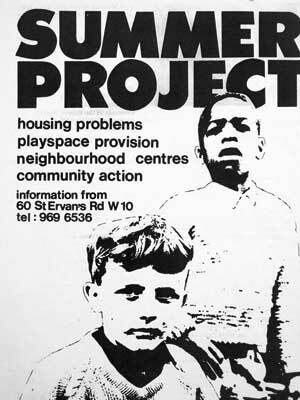 Slum clearance programmes in the 1960s and 70s caused much disruption, although conditions were greatly improved. 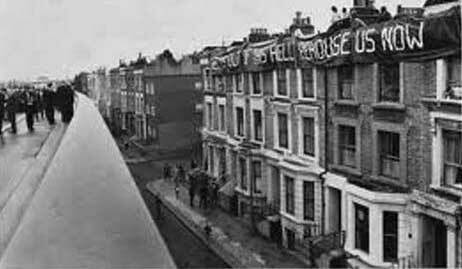 Further disruption came when the Westway, the elevated section of the A40, punched a ribbon of destruction through the neighbourhood. In response to poor conditions and redevelopment that often lacked meaningful community consultation, many residents fought and campaigned hard for better conditions, giving this area a powerful history of agitation and activism. At the same time, people from varied backgrounds came together to create one of London's most energetic neighbourhoods marked, not least by the famous Notting Hill carnival that has it's roots in the streets around Golborne Road. Arguably, it is the resilience of the community which distinguishes the neighbourhood from others in London, and the results of battles fought over the years which continue to be felt today. The Golborne Stories project seeks to explore and record the stories of the people who have made and continue to make the area unique. These are the stories of old Irish and Jewish families who moved into the area to join English families late 19th and 20th centuries. They are the stories of the people who later moved into the area from the Caribbean, from Spain, Portugal, Morocco and other countries. And these are the stories of the artists, musicians and campaigners who moved in from the 1960s, and of shopkeepers, the market stallholders and other who have lived in this unique area. Many thanks to Open Age for their support with this project. 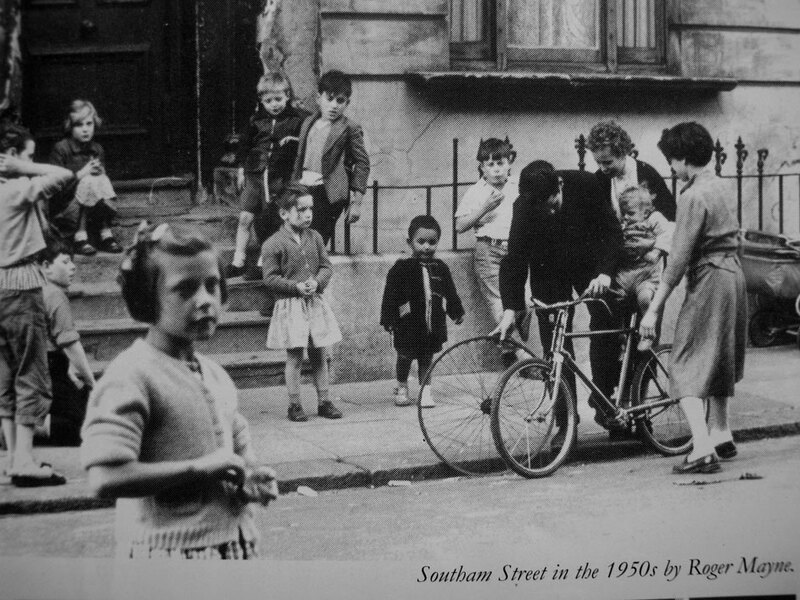 Photos on this website by: Roger Mayne, Adam Ritchie, and thanks to Kensington and Chelsea Local Studies.